We all know the wonderful benefits of Omega-3 fatty acids, DHA and EPA, but often times we aren't consuming enough of these beneficial ingredients with our daily intake of food. And that's where supplements come in. I was given the opportunity to review a fish oil supplement 3 weeks ago in exchange for my honest and unbiased opinion of the product. 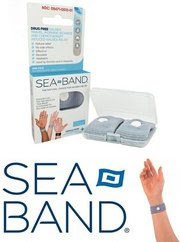 The product comes from the brand Quality Encapsulations. 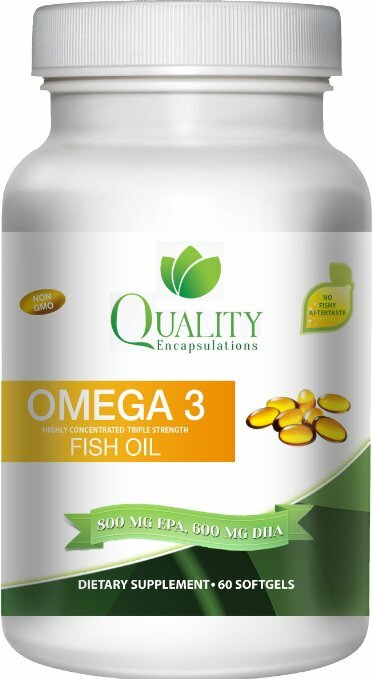 Quality Encapsulation's Omega 3 Fish Oil is highly concentrated with 1500 mg of rich omega-3 fatty acids, brain and heart healthy 600 mg of DHA and 800 mg of EPA and is a highly antioxidant blend of the three. Made from Chilean Fish Oil, this capsule contains no GMO's and my personal favorite, it has NO aftertaste! Omega 3 fatty acids, DHA and EPA are known to improve cardiovascular health, improve the immune system, promotes better brain function and circulation and lowers bad cholesterol levels. They are vital to proper human health due to past human diets rich in foods containing these Omega three. Supplementing when we don't consume healthy amounts of the three is highly recommended. 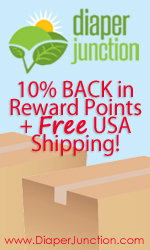 I've supplemented for many years, and have had great luck finding a good products. However, most often, the really good products also come with a really high price tag. 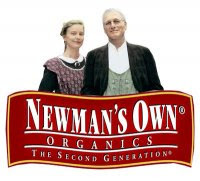 Fortunately, Quality Encapsulations offers a bottle of their blend containing 60 softgels, a one month supply, for a mere $15 on Amazon. This price is incredibly reasonable! And did I mention there is NO aftertaste? I highly recommend this product for those of you looking for a high quality Omega-3 fish oil supplement. A few weeks ago, I received this product at a discount for my honest and unbiased feedback. To be honest, I'd never heard of this type of product before. But since I enjoy learning about natural products and appreciate even more getting to review them, I was excited to try Leven Rose's Rosehip Oil on my own skin. Let's face it, I'm not getting any younger. The signs of my aging are beginning to take hold in the form of grey hair and “smile lines” around my eyes and mouth. And while I plan to be comfortable aging, it's still nice to find a product that not only leaves my skin feeling refreshed after each use but can rest assured is non-toxic and safe to use. 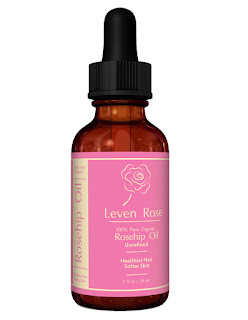 Leven Rose's Rosehip Oil comes from rosehip seeds cultivated in the mountains of Chile. No pesticides or fertilizers are used to cultivate this oil, keeping it free from toxins and 100% organic. Leven Rose keeps their rosehip oil is cold pressed and unrefined to maintain this product's wonderful properties. It's also considered a “dry oil”, meaning your body absorbs it immediately so your skin isn't left feeling greasy. I've used this product every night as part of my bedtime routine. Following cleansing my skin from the harsh chemicals from the day, I applied about 5 drops of oil onto the tips of my fingers then gently massaged it into my skin. I began to apply it around my eyes, where my “smile lines” are prevalent. I also start here because I tend to have dark circles around my eyes and feel that by massaging the rosehip oil in, it's helping with blood and moisture circulation. I then finished by rubbing the remainder oil into the rest of my face and neck. And my final opinion on this product is that I love it! I noticed immediately when I awoke that my skin felt more moisturized then usual, but without any feeling there was too much on my skin. In fact, I never once felt that my skin was greasy after using the rosehip oil on my face. 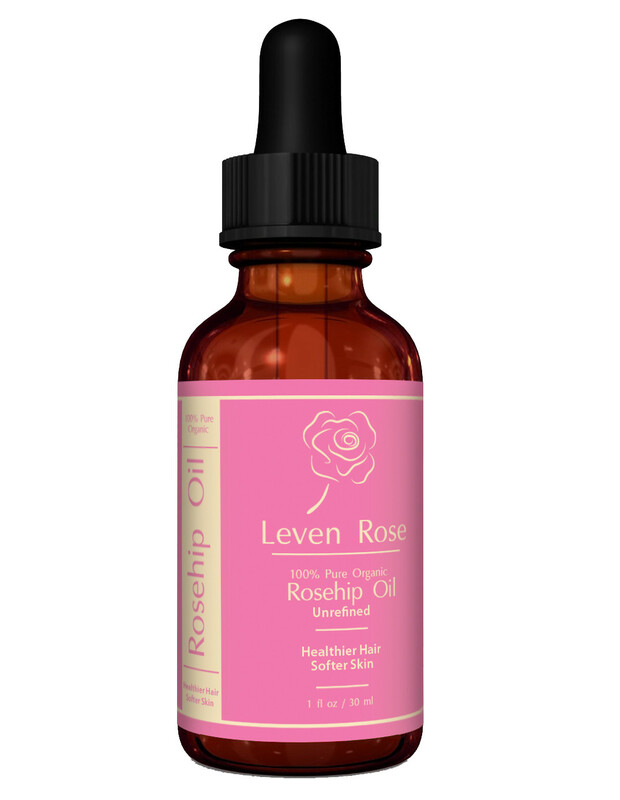 Leven Rose's Rosehip Oil is definitely worth trying. 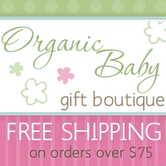 It costs a mere $14 for a 1 fluid ounce bottle, and for an organic and non-toxic product, it's a steal of a deal! I also imagine this bottle will last quite a while. I've used it about 14 days and have probably only used 10%. Give it a try! You won't be disappointed. I was given the opportunity to review another skincare product this past month. It's Elleda's Organic Vitamin C 20% Serum, containing 72% organic ingredients and 98% natural. This type of skincare is in my interest because it's more on the natural side, promoting ingredients the earth provides to help repair our skin from harsh environmental factors instead of using products containing ingredients with names unknown to me. Elleda's Organic Vitamin C 20% Serum contains a few main ingredients: Vitamin C and E, Aloe, Witch Hazel, Hyaluronic Acid and Jojoba Oil. The Vitamin C aids in the production of collagen, a protein in our skin that connects cells. As we age, collagen breaks down and wrinkles appear. Vitamin E nourishes the skin along with the aloe and jojoba oil. The Hyaluronic Acid aids in retaining water (moisture) in our skin, keeping it looking and feeling revived and fresh. I've used this product for a little over two weeks. I apply it day and night, following a skin cleansing routine but before my daily moisturizer of coconut oil. After using this product for two days, I noticed an immediate change. My skin felt a little hot for a few minutes but after that subsided, my skin took on a brighter complexion. I'm unsure yet how to come to a conclusion about this product seeing as though I haven't tested it for a long period of time. I do, however, love the way my skin appears and feels. I plan to continue using this product. If you'd like to learn more about Elleda's Organic Vitamin C 20% Serum, go here. I came across Skleer a few months ago when I was searching for a product that would help restore my skin from the harmful effects of the environment and to renew the natural glow to my skin. After the harsh winter in my arid environment, my skin feels dull and lifeless. With summer approaching, I want to revive my skin's health and the first place I look are products made from natural ingredients. 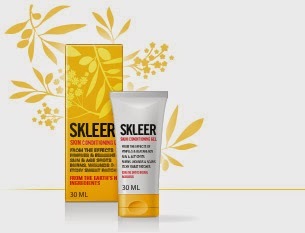 The first thing that caught my eye about Skleer was that it's made from all many natural essential oils. I've been using essential oils in my health and wellness regiment for not only myself but my entire family for nearly a year now and with great success. I tend to be drawn towards natural products because not only do they perform better, they have less of a negative impact on my body and that of my children. Too many products made these days contain a multitude of toxic chemicals, horrible for the body as well as making a negative impact on the environment. Before I had children, my skin was very close to flawless. I was definitely one of the lucky ones, not having to pine over my skin or be embarrassed by acne. But once I began having children, my skin changed dramatically due to hormones...it was a mess. I began trying over the counter products containing harmful ingredients because they held claims to help with any type of skin. In my case, I was in desperate need of help with combination skin. I paid way too much money to a very large corporate giant skincare line and after using it, my skin looked and felt like the life was sucked out of it, leaving it so dry my skin literally flaked off. This was not what I had in mind. So, like many people with skin inconveniences (I like to call them), I've learned to cope with skin that just doesn't feel like my own. Then about 4 months ago I discovered using organic, unrefined coconut oil on my skin and it's been great. I think using something natural has allowed my skin to heal and return to a more normal state of health. The health of my skin wasn't exactly where I wanted it to be, but then I tried Skleer as a regimen to use prior to my new moisturizer...and the results have done wonders for my skin! It's glowing, I have very little to no blemishes and it feels really great! And it's no wonder, Skleer's all natural ingredients include many great ingredients! For a more complete list, go here. I've also been using it on my very dry and cracked feet and it's been wonderful. My toes seem to be healing and feel much softer...perfect for the summer months of sandals and bare feet! And I've some great news for all of you...Skleer is letting me do a giveaway on my blog of their product for one lucky winner to use and love too! In order to enter the giveaway, simply comment to this post and tell me why you would like to try Skleer (please don't forget to include your email address so I can contact you!!!). Entries will be accepted until 5/14/15 and the winner will have 24 hours to reply back to me with their shipping address. Now, if only I could find a product to tackle those dark circles under my eyes...ha! As Luca's birth reached 8 weeks ago last weekend, I realized I had better put his birth story into words before memory of it began to fade. I feel as though it happened only yesterday, or maybe a week ago. The days leading up to his birth and his delivery day are still so fresh and beautiful in my mind. But just as I'm slowly putting his newborn clothes away because he is growing so quickly, so is the time passing since his birth. It's all incredibly bitter sweet. Luca Louis was born on Saturday, June 29th at around 12:30 in the afternoon. I was supposed to be at a Blessingway for a dear friend of mine that afternoon but instead was empowered for my own birth, by the beautiful strong women gathering together to celebrate the magic of birth, from afar. Luca's birth was at home, in a birthing pool, just as I had planned. It was comforting to be at home and be in charge of his birth...an experience I wish for all birthing moms. And was I ever "in charge" of it! His birth, or our birth story, is one I'll be telling forever. It was crazy, beautiful, and totally how I envisioned it in my mind and in my heart. The power of the mind should NEVER be underestimated...especially for a birthing mom. During the last trimester of my pregnancy, I was sure I was going to deliver Luca earlier than his due date. I measured 3-4 weeks further along, I felt Braxton Hicks like they were going out of style and I felt near deliver 4 weeks before my real due date. In fact, I was so sure I would deliver early that I had my sister fly out to be with us for our home birth two weeks before my due date! But delivering early would not be the case. Luca arrived a week past my due date. 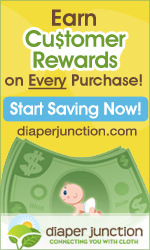 Three weeks prior to my delivery date, I wanted to induce my labor naturally. My midwife whipped up a concoction of herbs (to drink) that would start contractions and if I was ready to have my baby, if HE was ready to be born, my own labor contractions would take over. The herbs worked within 15 minutes, and contractions came on strong. So strong that I was worried I would have a rapid birth I wasn't ready for. My amazing doula came over to the house and began her beautiful work. My sister cared for us and tended my other boys while my husband got the house ready for a baby. We kept my midwife in the loop so she'd know when she was needed to come over to the house. But that would never happen. After 8 long hours of what I thought was true labor, my contractions subsided. Or at least I decided in my mind that I was exhausted and scared and not ready to have my baby. We all settled in for the night, went to bed and awoke the next morning to nothing...no more contractions and no baby. I was surprised...I couldn't believe my labor had really stopped. It was surreal. The next appointment with my midwife was 5 days later. I had her check me and I was dilated 5 cm but only about 50% effaced. She left it up to me whether I wanted to try to induce labor naturally again. I felt SO ready, I really wanted to have my baby and wanted my sister to be a part of it, so I had her strip my membranes and I drank another one of her oh so delicious (no, not really...they are terrible) concoctions of herbs. I began to contract within an hour and spent another day of 8 hours of self induced labor. And then, once again, at 9 pm at night, my labor began to subside. I was again surprised and a bit let down that I hadn't given birth to my little Luca. I felt incredibly ready, but together we ultimately were not. And so I kept my morale high and tried to relax about the situation. Each day that went by was another day my tummy grew. It was enormous, the biggest my belly had ever gotten during a pregnancy (even though I gained the least amount of weight). I knew Luca would be my largest baby, and I have to admit the thought of pushing him out began to frighten me. I had lucked out in the past and not torn terrible nor had I ever needed an episiotomy. I really didn't want the horrid experience I've heard of mamas tearing...all the way, down "there". So I tried to keep busy and do things to keep my mind off of D-day. The two weeks my beautiful sister spent with me and my family came and went. I took her to the airport teary eyed and said my apologies for not having Luca while she was here and we hugged out saddened good-byes. I was a little frustrated and terribly uncomfortable but still remained positive, dodging all calls but my family's because talking about it was too stressful. That day was my third and final appointment with my midwife. Since I had reached my due date, she wanted to do special tests to ensure baby was safe and happy in my melon of a belly. And he was. VERY happy. She offered to strip my membranes again and I accepted. And then again...this would be the third day of 8 hours of labor contractions with no baby finale. I felt defeated. I was 80% effaced by this day and dilated 6 cm but not finishing with the grand, gold medal prize of my baby. After this day, I decided to leave it alone. I wasn't going to try to induce anything since it had proven not once, not twice, but THREE times to do nothing but break my spirit up a bit. I guess I shouldn't say "nothing" because it did do "something". 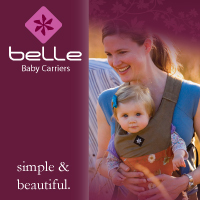 I was progressing, doing the work necessary to safely deliver my sweet child when we were ready to do so. And so I waited. And more days went by. And when I FINALLY felt that I would never have my baby, when I FINALLY felt like moving on from the whole idea (literally, that's how I felt), I went into true labor. We filled the tub and I got in. I asked to have my water broken because I thought it was the only thing keeping me from delivering Luca and I really wanted to get it (pain) over with. She did, and I expected, we ALL expected things to turn fast, but they remained the same. It was seriously crazy. We (myself, my doula, my midwife and my husband) all sat and chatted while I intermittently had quite tolerable contractions. I remember talking about cats...the most random of topics. And about an hour after getting into the water, my loving midwife asked what was keeping me from having my baby. Think about it: after 3 days of hard prelabor, the last 10 hours of real labor, I was fully dilated, fully effaced and my water was broken, and STILL, I wasn't pushing him out. I wasn't even rolling in agony. I was quite comfortable. At that very moment, I realized that I knew exactly what was keeping me from delivering Luca. It was ME. I was scared, I knew what pain I was about to endure and I was frightened of it and exhausted of my pregnancy. At that very moment, it crossed my mind how nice it would be to go to the hospital and have the epidural. But then I realized it was too late. I had done ALL the work and it was time. And so my midwife suggested one last thing to me: to surrender. As soon as I was ready to surrender to the pain, surrender to my body and my baby's will...then and at that very moment when I made that decision to do so, he was born. I literally said, "okay", got into position, and surrendered to our birth. It was fast, hurt like hell, and was over in a minute. And then I felt what so many before me felt, power. I felt the spirit of motherhood and met my little Luca face to face for the first time. He was beautiful and BIG. 9 lbs. 14 oz. to be exact. I didn't tear, I remained "intact", and aside from being a little woozy, I physically felt pretty great. I did it! It was so awesome! My oldest son, Park, heard Luca cry for the first time and came running up the stairs with Jude and their auntie, Andrea. The boys were thrilled to see their new brother, minutes old, in my arms and still connected to me. They weren't afraid of anything they saw, just enamored of their new baby brother. That's a memory I'll forever cherish. Birthing in the water is seriously the way to go. I longed for that with my second son's birth, although squatting (which I did with his birth) is quite efficient. But birthing in the water makes it much more comfortable. And, as I've said before, birthing with a midwife's assistance is key to having an empowered birth experience. My doula was also such a support and comfort to me. Her levelled energy made me feel with every contraction that I was in control of my own birth. And my birth story proves just how much control that really was. And my dear husband, he knew just how much I wanted this birth to be a healing birth for us as a unit. His constant support and encouragement was undeniably part of the reason I allowed for my birth to happen the way it did. I fell in love with him all over again...and our little Luca is a testimony to that love in many more ways than one. It's now been 8 weeks since our birth. Luca is a smiley, sweet, gentle mannered baby in a big, strong body. I chose his name from a list I created 15 years ago and kept stored in our filing cabinet. When we found out we were having a boy, I remembered the list, found it and saw his name written down first under "boys". I fell in love with the name "Luca" all over again. And "Louis" is a very old, very traditional family name from my father's side of the family. It dates back to the 1600's from France and I thought it was strong yet sweet. I actually debated it as his first name but didn't want the confusion of how to say it correctly (in French). Luca looks a lot like his oldest brother, Park, but definitely his own little self. We got off to a rough start with tongue-tie issues but got that (mostly) fixed. He is a healthy little man, he sleeps quite well and is quite predictable. We all LOVE him dearly. We haven't experienced any jealousy issues and everyone adjusted quickly to their new positions in the house. Park is incredibly sweet with his "best friend baby Luca", always kissing him and wanting to help take care of him. And I can't complain, I've got three sweet little boys who are stuck with me for life!